Influenza, commonly known as the flu, is an infection of the nose, lungs, and throat caused by the influenza A or B (or rarely C) viruses. It is highly infectious. The United States experiences epidemics of seasonal flu each year. This time of year is called “flu season.” In the United States, flu viruses are most common during the fall and winter months. Influenza activity often begins to increase in October and November. 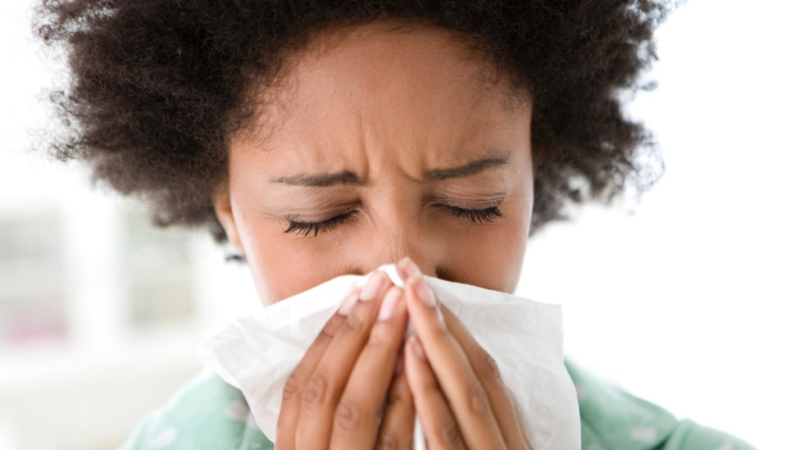 Most of the time flu activity peaks between December and February and can last as late as May. The flu virus is spread when an infected person talks, coughs or sneezes small droplets containing infectious agents into the air. The droplets in the air may be breathed in by those nearby. Infection may also be spread by contact with hands, tissues and other articles soiled by an infected nose and throat discharges. people with chronic conditions like heart disease, diabetes, and lung disease. Pregnant women are more likely to have severe complications from the flu, especially in the second and third trimesters. The high fever and any chest complications caused by flu can be potentially harmful to the baby, even the flu virus does not cross the placenta and infect the baby while in the uterus. Because of these risks, a doctor may recommend antiviral medication for pregnant women with the flu, but the best protection for the mother and baby is for the pregnant mother to have the flu vaccine, which is safe and funded at any stage of pregnancy. Testing for flu is not needed for all people with symptoms. The diagnosis may be suspected on clinical examination and symptoms (especially during the flu season) and is best confirmed by laboratory testing of mucus from the back of the nose or throat. Average of 2 days for the flu (range 1 to 4 days). Usually from 1 day before the onset of symptoms until 7 days after the onset of symptoms. After 5 days the level of infectiousness is probably very low, however, some people, especially people with weakened immune systems and children, might be able to infect others for a longer time. Most people recover with drinking plenty of fluids, rest and use of Paracetamol for the relief of fever and pain. Aspirin should not be given to children under 12 years of age unless specifically recommended by a doctor.